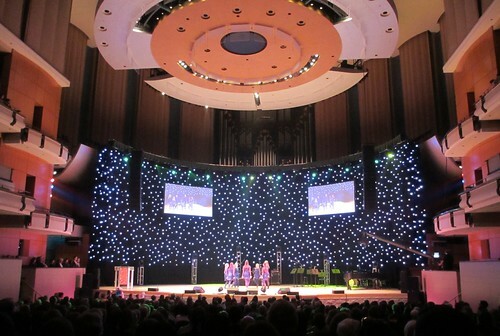 The 26th annual Mayor’s Celebration of the Arts took place on Monday night at the Winspear Centre. Talented artists being recognized for their efforts, highly entertaining performances in a variety of genres, and hundreds of local supporters of the arts – what’s not to love? I look forward to the event every year! This year’s event supported Kids Up Front Edmonton, a very worthy organization which works to provide kids with the chance to experience arts, sports, and entertainment events. Since it was formed in 2003, Kids Up Front has donated 237,174 tickets valued at $5.8 million to local kids and families. Arts and culture form the very heart and spirit of our city. The creativity of our vibrant arts community is a fitting complement to the innovative spirit of our business community. The Mayor’s Celebration of the Arts celebrates the best in local talent and each year I leave this evening of awards and performances feeling entertained, inspired and immensely grateful for the diverse, rich arts community that makes Edmonton such a great place to call home. John Mahon joined the Edmonton Arts Council (EAC) in 1996 as Grant Director and took over as Executive Director in 1998. He excels at both the clarinet and the political game required to be successful in a position like ED of the EAC. Thanks to his guidance and his positive relationship with the mayor and council, funding for the arts in Edmonton has grown steadily over the years (to $11.5 million in the 2013 budget). John will be moving on from the EAC in June, so I was very happy to see him recognized at the event. Congrats John! One of my favorite things about the Mayor’s Celebration of the Arts is the cross-section of talent that is on display. 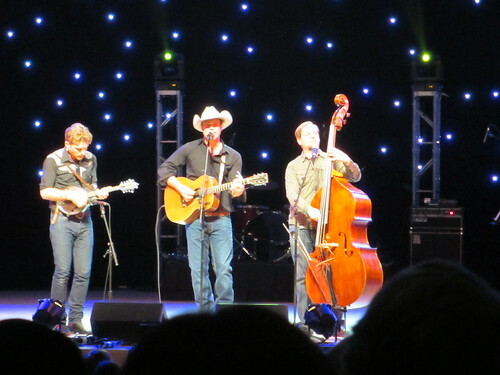 From the high energy Irish dancing that opened the show to Corb Lund’s awesome closing set, there was never a dull moment. I really enjoyed the improv performance. Belinda and Mark got Mayor Mandel on stage and used some information from him to re-enact a day in the life of our mayor. With digs at his chief of staff and Councillor Batty, it was pretty funny. The best part? Peter Brown, who acted the part of the mayor, whimpering every time the arena was mentioned. Only Mayor Mandel knows for sure if this was his final Celebration of the Arts or not, but just in case I want to highlight that he’s the reason it exists. The event moved to an evening format in 2005 at his request. Prior to that, the event was known as the Mayor’s Luncheon for Arts and Business and attendance was by invitation only. It was a smaller event with awards and speeches, but no performances. Mayor Mandel recognized the opportunity and transformed it into an event with profile. I’m glad he did. Congratulations to all the nominees and winners! You can read last year’s recap here. 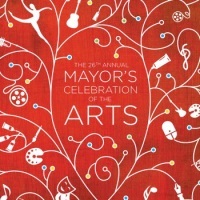 See you at the 2014 Mayor’s Celebration of the Arts! This was my second year on the Steering Committee for the event. While I take absolutely no credit for the incredible evening, I did make some behind-the-scenes contributions. In addition to building the microsite, I digitized the nomination forms and process this year. There are a few wrinkles to iron out, but for the most part I think it worked really well! If you nominated someone and have feedback on how to improve it further, please let me know!